The nonprofit Land & Rivers Fund protects the land and rivers in our community that we all love. The primary beneficiaries, Eagle River Watershed Council (ERWC) and the Eagle Valley Land Trust (EVLT), are the only nonprofits in our community whose primary focus is to protect our local natural resources. 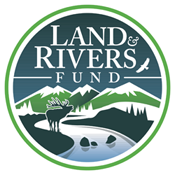 Land & Rivers Fund is no cost to retailers and an affordable way for people to protect the land and rivers of our community. Participating businesses get to showcase their support of land and river protection by simply adding a surcharge (typically 1%) to qualifying purchases. A voluntary donation, customers may ask for the surcharge to be removed. Not just for EVLT and ERWC, Land & Rivers also funds a community grant program available to other organizations and communities as they work to improve natural resources in our area. As more donations are received, more funding becomes available to our community. General Job Description: Reporting to the Executive Directors (EDs) of Eagle River Watershed Council (ERWC) and Eagle Valley Land Trust (EVLT), the program & development director shall be the face of the Land & Rivers Program, pursue new participants (businesses) for the Land & Rivers Fund and onboard them to the program. The employee will also oversee program marketing as well as the day-to-day operations of the program as directed by the EDs. This is a full-time position. Make and implement business development plan. Approach businesses/establish rapport with owners and key staff. Work with EVLT & ERWC staff/board to get warm introductions to businesses. Clearly, professionally, concisely, and convincingly communicate the benefits of the program. Organize, track and report periodically on business development plan progress. Obtain signatures on properly completed participant agreements. Facilitate new businesses setting up their point of sale (POS) system. Obtaining logos and information from newly participating businesses. Prepare a written weekly update for EVLT/ERWC board members. Establish a positive rapport with existing participating business owners and staff, visiting each business one to two times per month. Fulfill benefits requirements (eg. social media posts featuring participating businesses). Create and implement a participant retention and promotions plan. Track and report periodically. Create and implement additional ways to make participants feel special. Manage and implement communications plan including: press releases and blog posts, advertising and social media campaigns and other publicity. Draft content (both narrative and images) for ERWC/EVLT newsletters monthly. Regularly update the website to add content and new participant information as they join. Maintain marketing materials and supplies. Website and social media follow-through as noted above. Maintain a positive rapport with participating business owners and staff. Coordinate invoices and payment collection with bookkeeper. Take phone calls from participants and help troubleshoot. Periodically contact businesses to see if they need additional program supplies and deliver. Deposit payment checks and submit records to bookkeeper. Review and file expenses for approval from EDs. Coordinate the Community Grant Committee and administer program grants (reporting, etc). Personality: Professional, well spoken, tactful, friendly and sensitive. Customer service orientation. Comfortable with collections. Self-starter and a problem solver with a positive outlook, good organizational skills and strong attention to detail. Energetic. Enthusiastic. Outgoing. Extroverted. Specific Job Skills: Development, fundraising and sales experience. Able to communicate and motivate via written word as well as through face-to-face contacts. Administration and data entry experience. Social media proficiency. Solid understanding of Eagle River Watershed Council and Eagle Valley Land Trust. Must be adept in MS Office, WordPress and Google Suite. Graphic and web design skills a plus. Valid driver’s license and ability to drive for work. Employee must provide employee’s own office with internet connection and privacy to protect confidentiality of clients. This position will require work outside of the employee’s home office visiting and soliciting program participants and meeting with employer. Regular office time (at employee’s home office) will be required. Work requires some physical exertion such as walking, standing, lifting (up to 50 lbs), carrying, or similar activities, sometimes in inclement weather. Compensation: ~$74,000 per year plus benefits as follows. $42,000.00 base salary plus commissions and renewal incentives (estimated at $32,000 per year). 401K; health insurance benefits; paid vacation, holidays, and sick leave; wellness (ski pass, health club, etc.) reimbursement. Send a cover letter and resume to jdaus@evlt.org and loff@erwc.org. The position will be open until filled. We plan to reply to all applicants within three weeks of application receipt. Employment offer will be subject to background check.